I hadn’t planned to write a post today – especially late Friday on a US holiday weekend – but I couldn’t resist. I was cleaning and stumbled upon this old quilt top [and cleaning isn’t my favorite thing] so I shot a few quick pictures and … here I am. The pattern is usually called Kansas Dugout (because the hexagons look like canoes? ), and this one is all hand-pieced. What I love about this top, and the main reason why I bought it, was the crazy-bright orange squares. 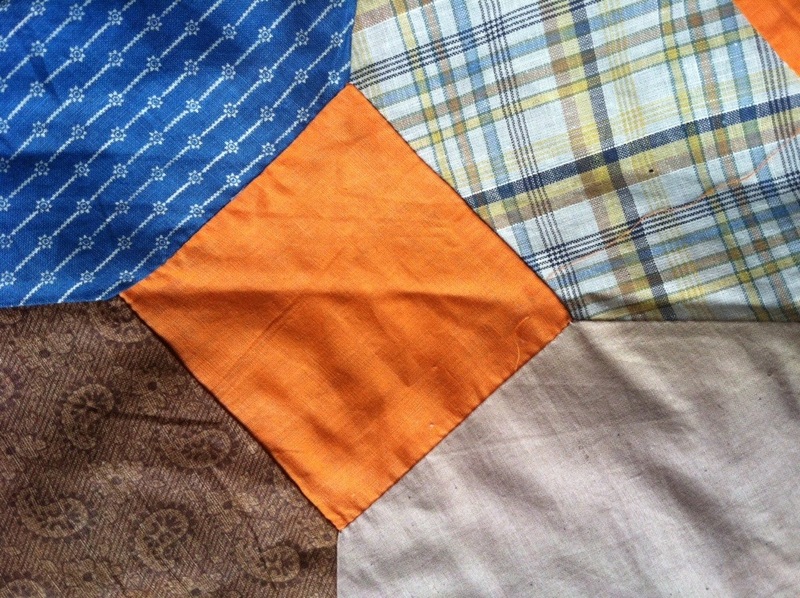 For a while, I became obsessed with the use of orange as a neutral or background color in old quilts. More on that some other time, I have at least one more antique example. 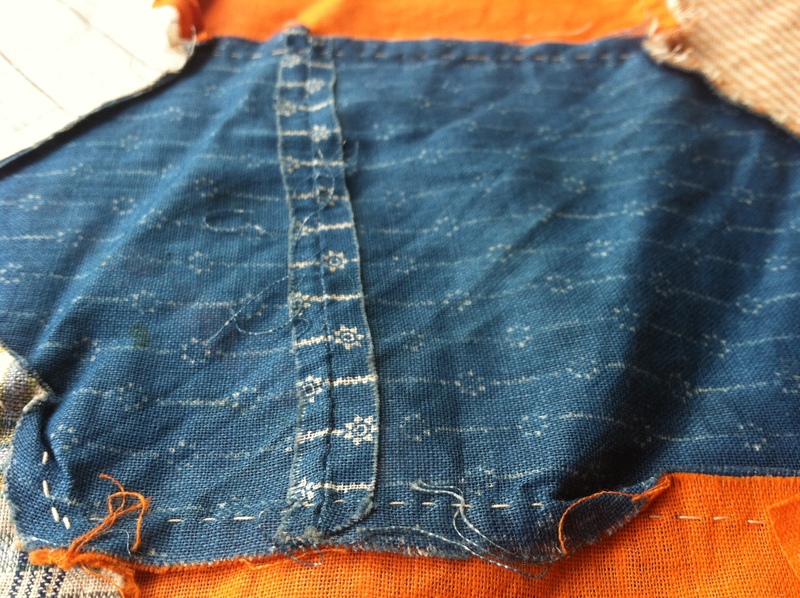 Because this pattern has Y-seams, or set-in seams, its pretty common to find it hand pieced. If you look closely at the stitching, though, you can see that none of the sewing lines were marked. 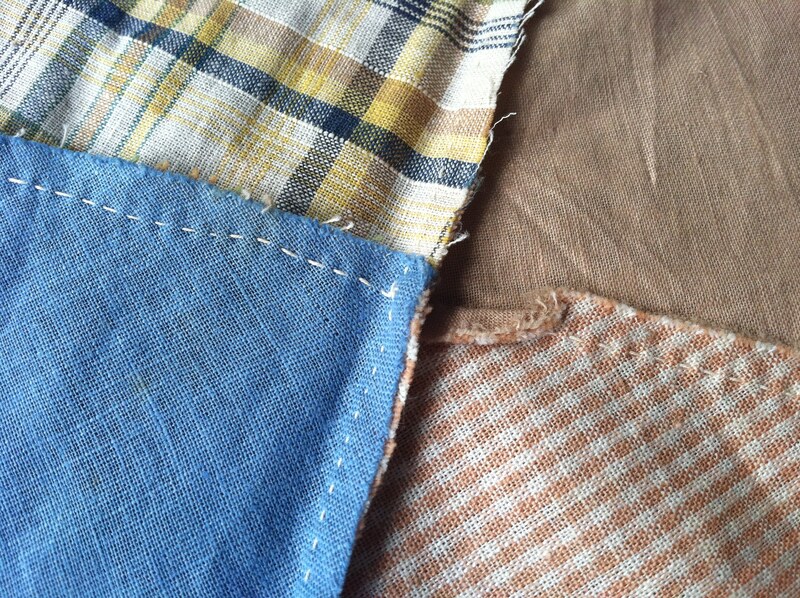 Marking seams in patchwork quilts is almost universal for hand sewing these days. The prints are a mix of solids, plaids, checks, and indigos. Kind of funky, not super-exciting fabric wise. 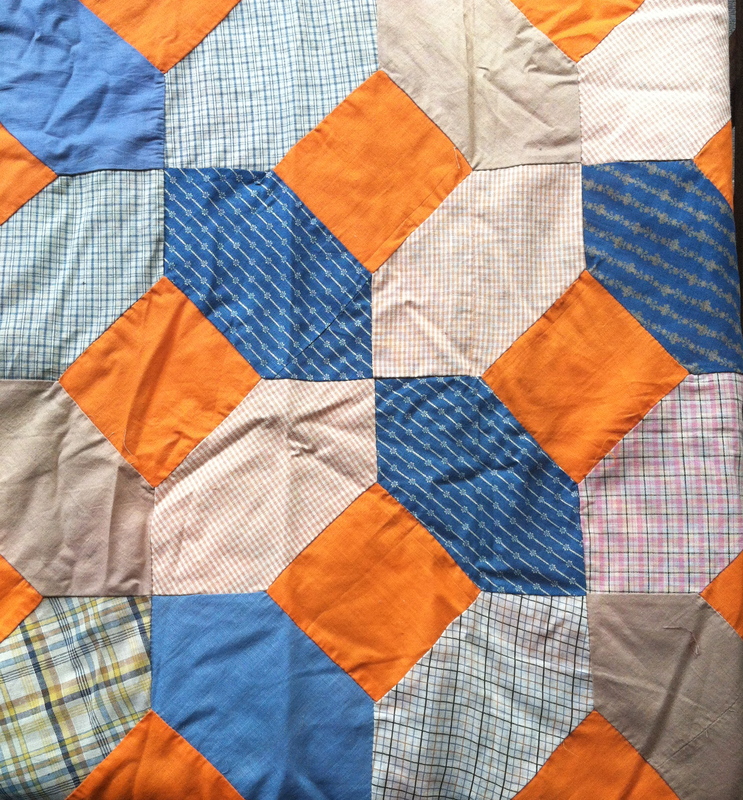 But that orange – the orange makes the quilt top nearly vibrate in intensity. 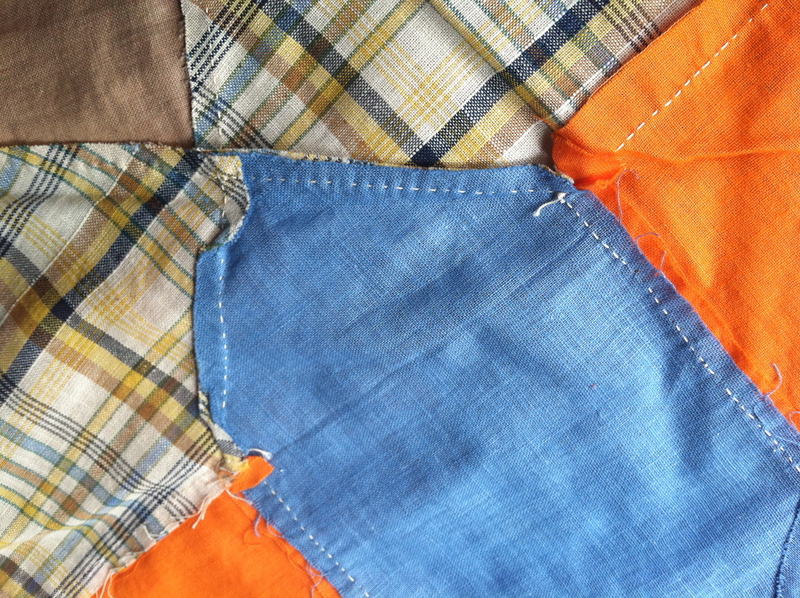 One more detail shot here – I always love when a quilter didn’t have enough fabric and pieced together one of the pieces. Here you can see that she did it meticulously, matching the stripes in the blue print. I have no idea of the age of this top, early 20th century is a guess for a lot of the prints and woven fabrics. It’s a bit too big to get an allover shot, but I’ll leave you with one more of the front (if your eyes can handle it).